Gordienko I. Yu., Avramenko T. V., Shevchenko A. A., Tarapurova O. M., Grebinichenko G. O. 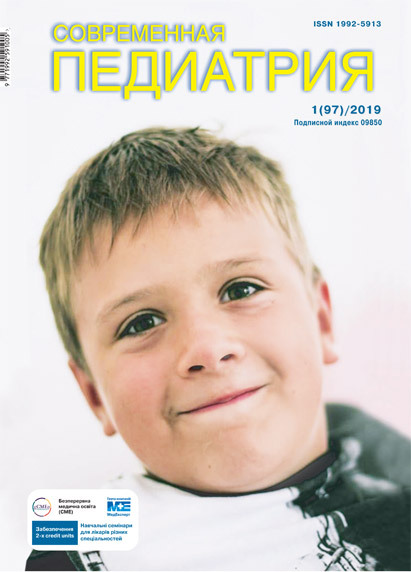 The paper presents basic information about Pierre Robin syndrome as rare genetic pathology with a focus on the specific diagnostic and clinical aspects. It was grounded the necessity of the timely prenatal and postnatal diagnosis for the evaluation of wellbeing of fetus, newborn and child and possibility for subsequent adequate treatment. There were described two clinical cases: prenatal diagnostics of Pierre Robin syndrome in the fetus with clonic cramps, and case of Pierre Robin syndrome and multiple anomalies of central nervous system in two years old patient. Especially dangerous displays are certain pathologies that result in fatal outcomes. Key words: Pierre Robin syndrome, prenatal diagnostics, clinical diagnostics, pictures, treatment, children. 1. Melnikova EV, Karachunskiy MG, Tamazyan GV i dr. 2008. Taktika vedeniya novorozhdennyih s sindromom Pera Robena. 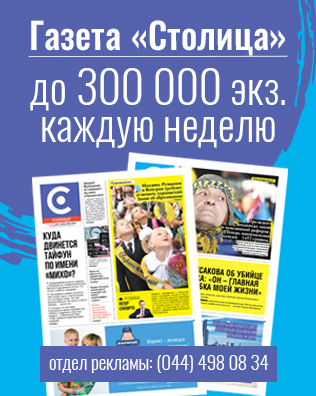 Voprosyi prakticheskoy pediatrii. 3; 5: 36—37. 2. Bronshtein M, Blazer S, Zalel Y, Zimmer EZ. 2005. Ultrasonographic diagnosis of glossoptosis in fetuses with Pierre Robin sequence in early and mid pregnancy. Am J Obstet Gynecol. 193: 1561—1564. 3. Van den Elzen AP, Semmerkrot BA, Bongers EM et al. 2001. Diagnosis and treatment Pierre Robin sequence: results of a retrospective clinical study and review of the literature. Eur J Pediatr. 160: 47—53. 5. Gruen PM, Carranza A, Karmody CS. 2005. Anomalies of the ear in the Pierre Robin triad. Ann Otol Rhinol Laryngol. 114(8): 605—613. 6. Holder-Espinasse M. Abadie V., Cormier-Daire V. 2001. Pierre Robin sequence: a series of 117 consecutive cases. J Pediatr. 139: 588—590. 9. Lidsky ME, Lander TA, Sidman JD. 2008. Resolving feeding difficulties with early airway intervention in Pierre Robin Sequence. Laryngoscope. 118(1): 120—123. 10. Paladini D, Morra T, Teodoro A et al. 1999. Objective diagnosis of micrognathia in the fetus: the Jaw Index. Obstet Gynecol. 93: 382—386. 11. Paladini D. 2010. Fetal micrognathia: almost always anominous finding. Ultrasound Obstet Gynecol. 35: 377—384. 13. Pilu G, Romero R, Reece EA. 1986. The prenatal diagnosis of Robin anomaly. Am J Obstet Gynecol. 154: 630—632. 17. Evans KN, Sie KC, Hopper RA et al. 2011. Robin sequence: from diagnosis to development of an effective management plan. Рediatria. 127: 936—948. 21. Rotten D, Levaillant JM, Martinez H et al. 2002. The fetal mandible: a 2D and 3D sonographic approach to the diagnosis of retrognathia and micrognathia. Ultrasound Obstet Gynecol. 19: 122-130.